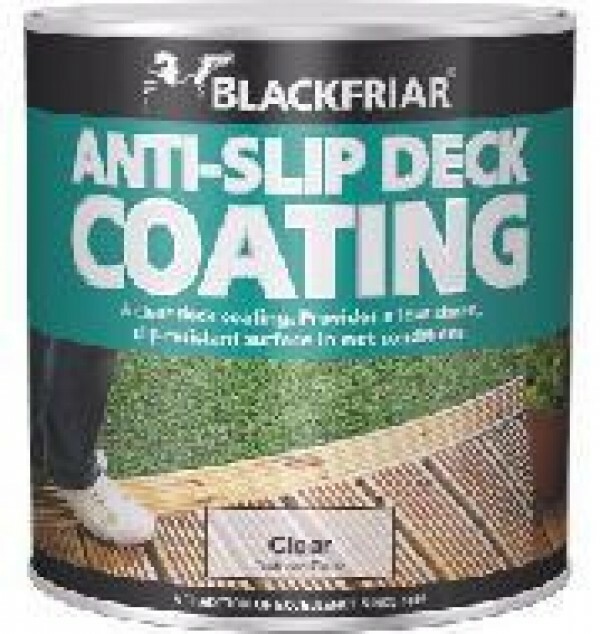 Blackfriar Anti-Slip Deck Coating is a clear deck coating which allows the beauty of wood to show through whilst providing a slip-resistant surface. It provides excellent coverage and the micro-aggregate yields slip resistance. Ideal for exterior timber decking and walkways.